When anti-bias educator, Mrs. Magda, becomes the new Theory of Knowledge teacher at the American School in Cairo, she is shocked to discover the ugly truth behind the school's prestigious reputation. Despite the challenges and hostility she faces, Mrs. Magda is committed to achieving her career goal of transforming the environment at the school and making it truly bicultural. Although the school's administration hired her to achieve just that, they realize her aspirations might be a bit too ambitious for their liking. Meanwhile Maha, a senior at the school, just wants to have a drama-free and fun senior year - but gets exactly the opposite. She finds herself caught up in a divine storm where everything in her life goes wrong. Shattered dreams, melodramas, fallouts and love triangles are just a few of the issues she has to battle. 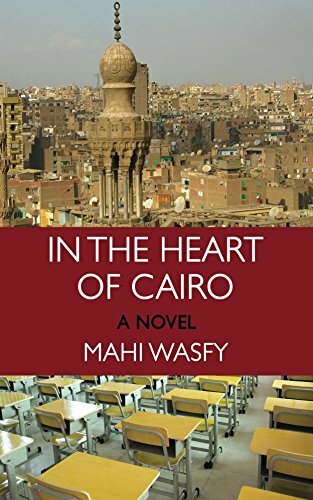 Maha doesn't know if she can handle the pressure and risks losing herself in her efforts not to be the class misfit.